A delightful holiday-inspired healthy breakfast recipe for one! Chocolate Peppermint Quinoa Flakes made right in the microwave, gluten-free, vegan, and allergy-free. Everyone loves a dose of chocolate and minty cheer to start the day! Everyone loves a quick and easy breakfast! Not to mention, secretly healthy and protein-packed, but still with a hefty dose of chocolate and seasonal peppermint! During the holidays you may find yourself running out the door and (unspeakably) forget to eat breakfast! With these Chocolate Peppermint Quinoa Flakes, that will not happen! Not only will you WANT to enjoy a delicious gluten-free and vegan bowl of hot quinoa flakes, but you’ll have no excuse for no time! These cook up with less than 2 minutes of prep of microwave cooking! So get your bowl out and eat up! Brew the peppermint tea (I used one tea bag) and then add that to the bowl along with the extract and stevia, stir to combine. Microwave on high for 2 minutes. Remove and garnish with fresh mint leaves! + What’s your go-to holiday season breakfast? I usually eat chicken once or twice a week and I was in need of a new variation. I still love my tried and true trio, but since it is Fall, I decided I need a new way to spice things up. Behold, orange spice chicken. The sweetness of the orange is subtle but so delicious and the cinnamon gives it beautiful background note. I am actually cooking this again today because I enjoyed it so much last week! It is the quintessential Autumn chicken recipe. 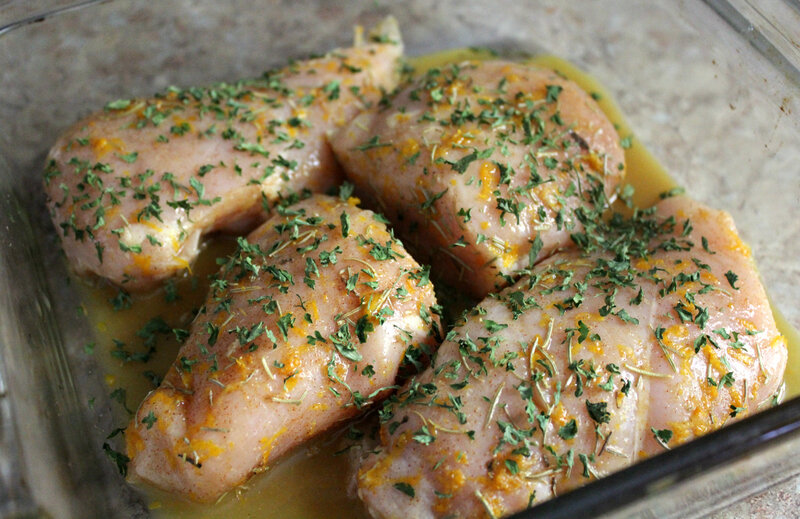 + In a large plastic Zip-Lock bag, combine the orange zest and juice, and all the spices. Then trim and clean the chicken and toss those in the bag as well. + Get most of the air out as best you can and coast, massage the bag to incorporate the flavors into the chicken. Then place the bag in the fridge for 30 to 60 minutes. + Preheat the oven to 350°F. 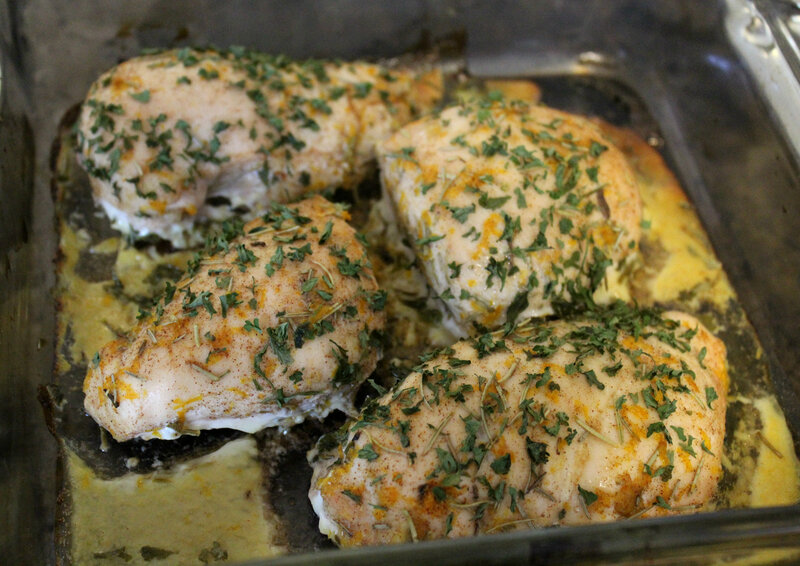 Lightly wipe some EVOO or non-stick spray in a baking dish. Then lay out the chicken and pour the marinade on top. 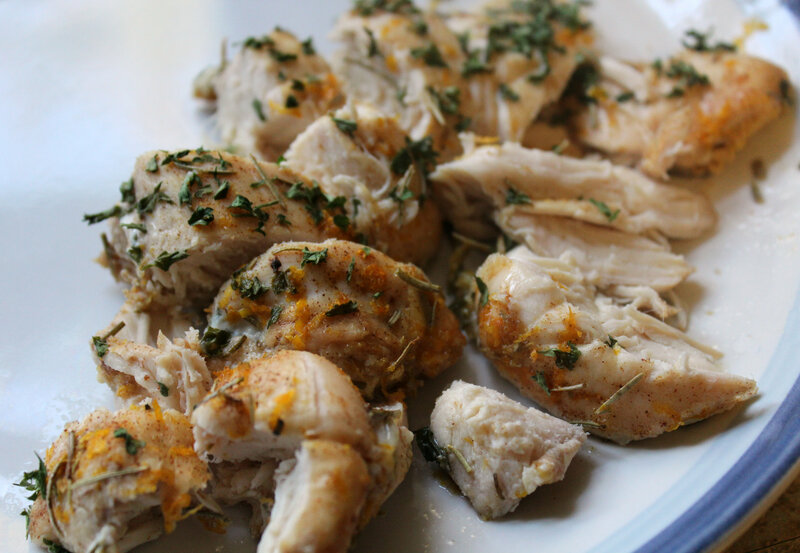 Sprinkle some more Parsley on the Chicken beasts as well to make them look pretty! 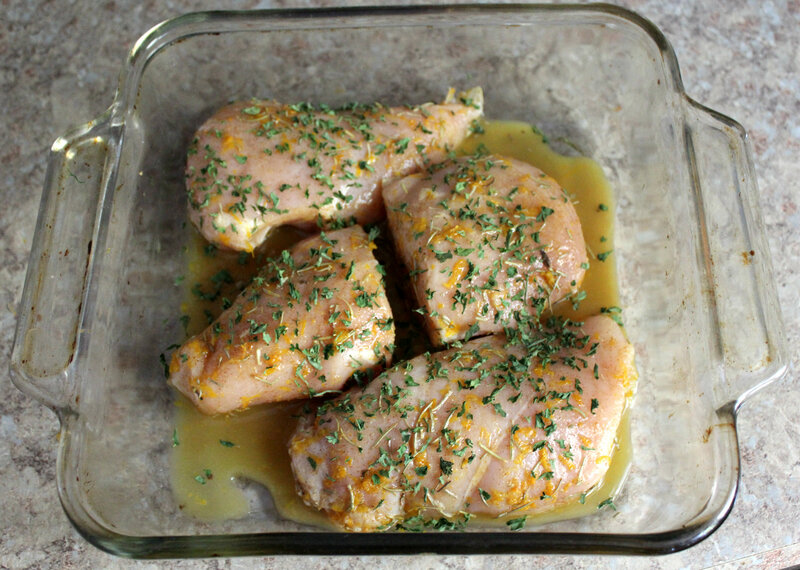 + Next just place the dish in the oven and cook for 45 minutes or until done. This was so good! I had the left overs the next day and it was even better! But I think chicken always tastes better the next day once it has had to time sit and absorb all the flavors it was cooked with. P.S. I ate most of mine without ketchup! Shocker I know, but the orange was so perfect by itself I didn’t want to miss out on any flavor. I think I have an addiction. I can not get enough plantains! It is the most perfect side to anything. Once you master the technique and find exactly how you like them baked, you will be eating them by the dozens I’m warning telling you! I have only ever used them as baked fries or baked chips, but all these plantain breads and pancakes are starting to really spark my appetite, I will have to try these variations soon too, but until then I will just share my tried and true method for baked fries and chips! 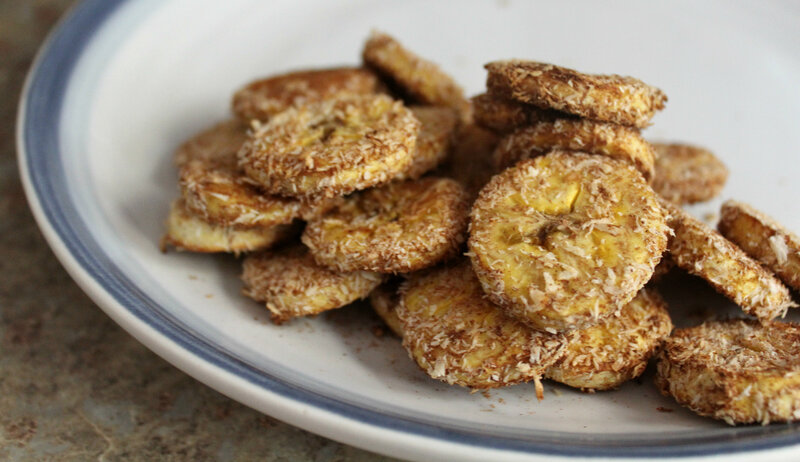 + The spices: I love plantain fries with Smoked Paprika, that is the best. But I recently have been loving them with a mix of Smoked Paprika and Cinnamon as well. 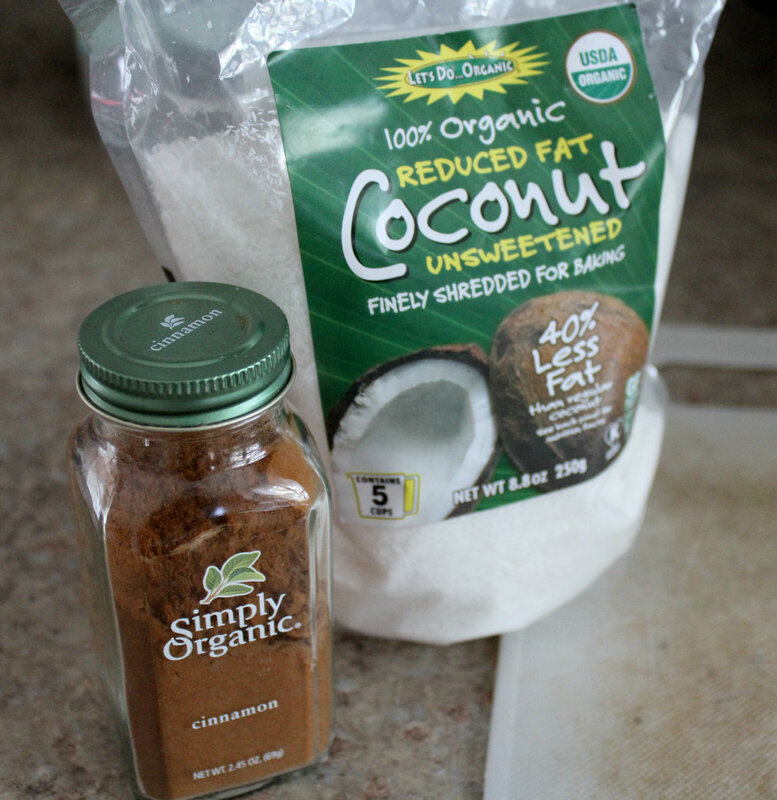 But this time I got really crazy and used just Cinnamon and…Coconut Flakes! (Unsweetened of course!). But you can get creative and use what ever you like. + Preheat the oven to 390°F. 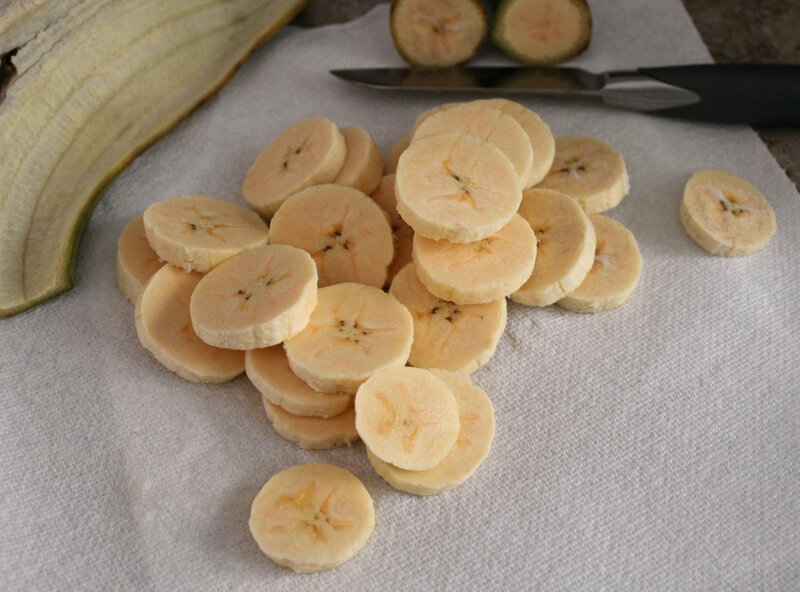 + Take your plantain and cut the ends off. 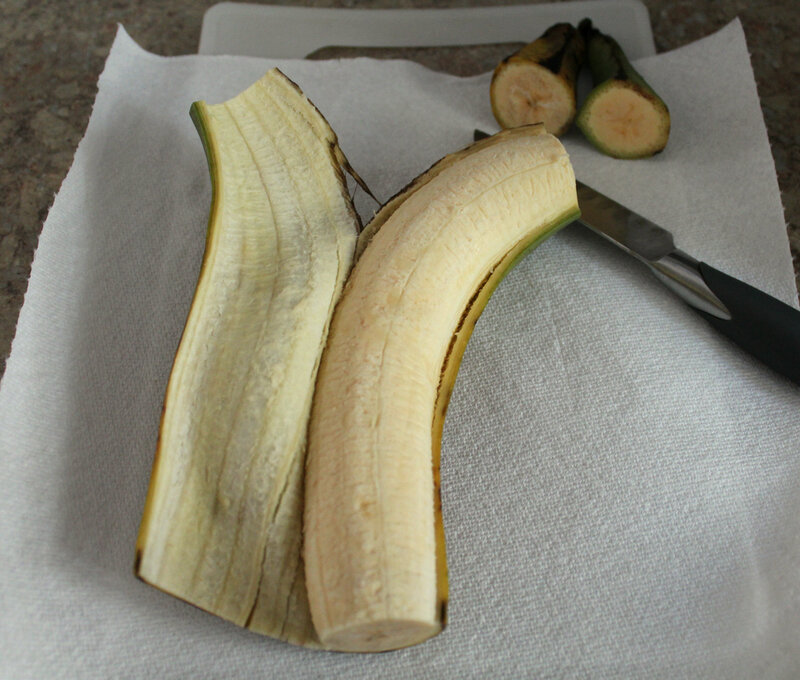 Then make a slit all the way down one side and peel back the peel! + Nest decide it you want either traditional fry shape or disc/chip shape. This time I chose the chip shape. 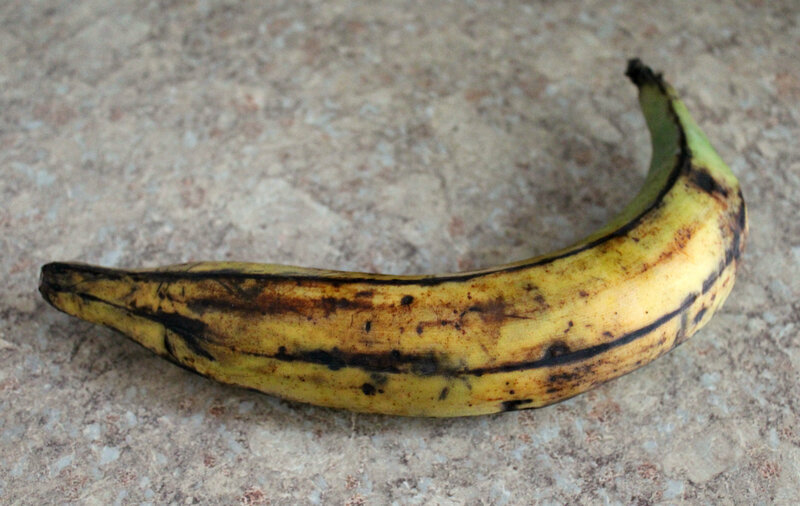 So slice the plantain up for what ever you chose. 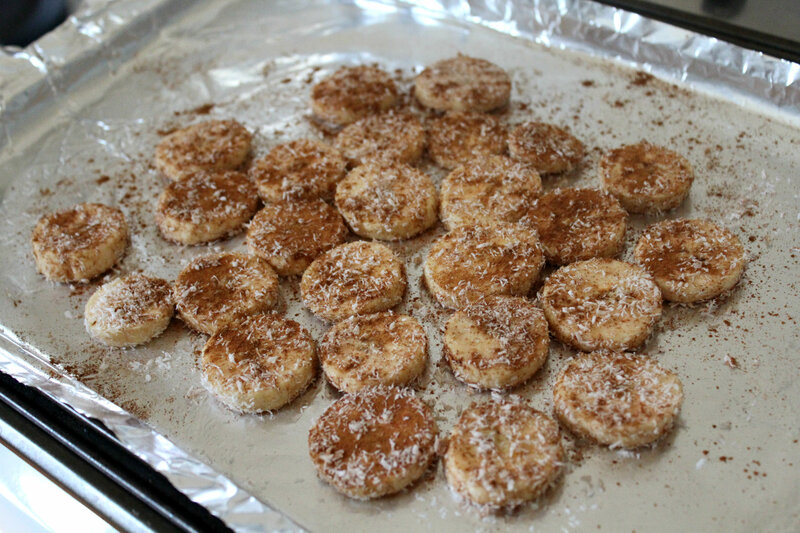 + Then foil and oil (or non-stick spray) a baking sheet and lay out your plantain pieces. Then just pour on your spices and get your hands messy and toss everything around to coat them up. I have to admit that I even used a bit of ketchup on these, haha! 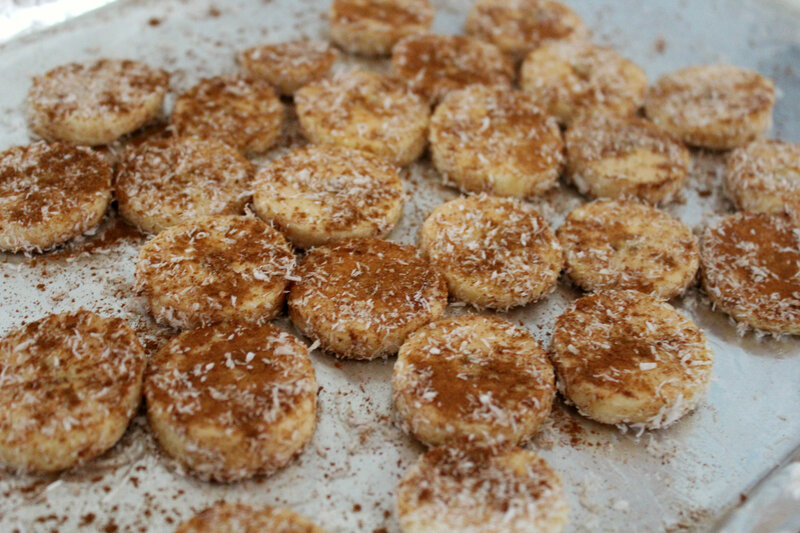 But not a lot because the coconut and cinnamon was perfect alone. Remember to link up your recent eats with Jen’s WIAW! My favorite blog link-up, thanks Jen! 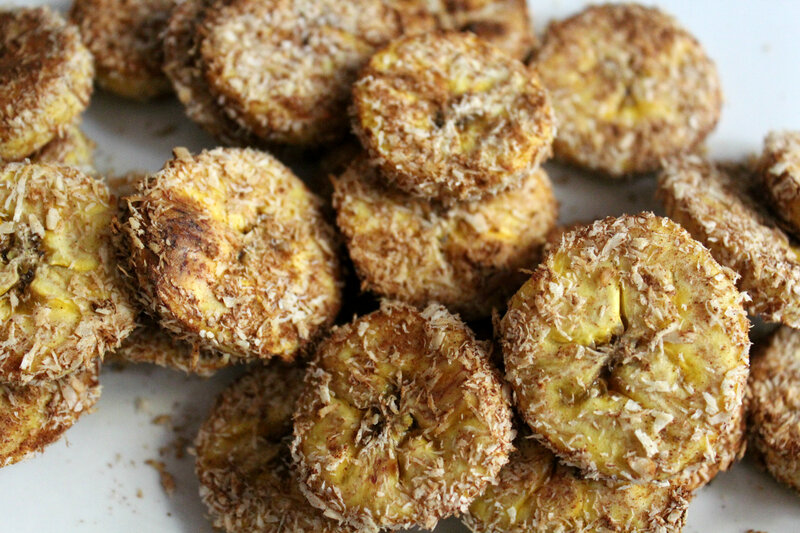 Are you a plantain junkie like me? Or have you not hopped on the bandwagon yet? If you haven’t I strongly suggest you do! Ketchup, yay or nay? I put it on everything and anything! I have a half-day of school for our monthly teacher in-service, so I am a happy camper today! I hope you have a happy Wednesday too, see you tomorrow!